It was a calm and quiet evening as Taraka made his way through the forests of Khalimuck, accompanied by Cyrus and Gaster. It had been a few hours since he and Gaster had battled Lars and the two of them had ventured out with the captain again to look for Pokemon. The planet was home to a wide variety of species so it seemed like a good opportunity to take advantage of while they were here. As the trio walked along, Taraka kept an eye out for wild Pokemon. Although he could hear the sound of Kricketots all around and the call of a lone Hoothoot in the distance, the monk didn’t see any Pokemon nearby. “Do you hear that?” Cyrus suddenly asked, stopping in his tracks. Taraka paused to listen. The song of the Kricketots had faded, droned out by a buzzing sound that was steadily growing louder. “What is that?” the monk asked. “Some kind of bug Pokemon,” Gaster said. “Whatever it is, it’s coming this way,” Cyrus said. As the Maverick’s captain spoke, a Vespiquen emerged from the trees, surrounded by a swarm of at least twenty Combees! Seeing such a majestic bug Pokemon, Taraka knew he had to have it. “I want it!” the monk exclaimed, reaching for one of his Pokemon’s Pokeball. As Taraka tossed out his recently captured Spoink, his two crewmates sent out Pokemon of their own. Cyrus released his trusty Talonflame while Gaster dropped out his new Chingling, then moved away from the incoming swarm and readied his rifle. The swarm approached rapidly, with two Combees leading the charge. Taraka barely had time to put up a psionic barrier before the two Combees began stirring up a violent Gust, pelting Gaster and his Pokemon with it. Cyrus reacted quick, firing off a shot at one of the attacking bee Pokemon, leaving a nasty wound. “Peregrine, get in there and Flame Charge!” the captain then commanded his Talonflame. Surrounding himself in flames, the fiery bird of prey flew at the swarm, targeting a third that was moving in to attack. This Combee, however, was able to maneuver out of the way, avoiding the attack. “Jean-Marie, use Uproar!” Gaster commanded his own Pokemon to attack. His Chingling let out a piercing cry that blasted a pressure wave out in all directions, striking two nearby Combees. The two bug Pokemon repaid in kind, pelting the Chingling with more Gust attacks. By this point, the swarm was fully upon them. Several Combees flew around Cyrus’s Talonflame, clearly having singled it out as the greatest threat. The assaulted it with attack after attack. On their own, the hits did little, but Taraka knew they could quickly stack up. “Nina, lend a hand, use Zen Headbutt!” Taraka ordered his Spoink. The small porcine Pokemon sprang up at one of the attacking Combees, bashing it with her head. This did some damage to it, but also drew its attention; the Combee fired back with a Gust attack. As Taraka prepared to issue another command to his Pokemon, the Vespiquen let out a loud, piercing shriek. 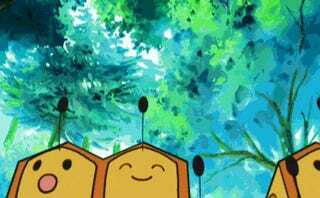 Several of her Combee drones flew back toward her, moving into a defensive formation around their queen. Things were starting to get interesting now. “Peregrine, use Flame Charge again!” Cyrus commanded his Pokemon once more. Surrounded in flames, the Talonflame struck one of the swarming Combees, taking it down instantly. The captain then opened fire on another, shooting it out of the sky. Gaster followed up with a volley of laser fire from his rifle. Just like that, another three Combees dropped out of the sky. In response to Gaster’s assault, one of the Combees flew right at him and started stinging. Cyrus quickly popped it out of the air, getting it off the former smuggler. “Thanks mate,” Gaster said, glancing over at the captain. “Don’t mention it,” Cyrus replied, nodding at the former smuggler. “Jean-Marie, hit the Vespiquen with Confusion, then fall back!” Gaster then commanded his Chingling. 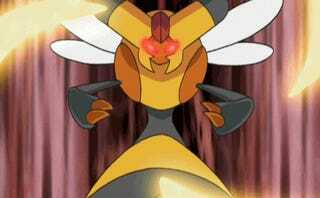 His Pokemon blasted the queen bee with psychic energy and then moves out of range of the swarming Combees. Gaster’s Chingling may have slipped away from the swarm, but Peregrine and Nina were still in the thick of things. Several Combees attacked the two Pokemon, slowly wearing them down. “Nina, use Power Gem!” Taraka ordered his Spoink. The pink sphere atop Nina’s head began to glow, then a beam of energy shot out from it, bringing down one of the Combees attacking her. This drew the attention of a couple more, which started attacking her. “Peregrine, target the Vespiquen!” Cyrus shouted. “Use Flame Charge!” The captain’s Talonflame flew at the Vespiquen and blasted past the Combees defending her, avoiding the Gust attacks they sent his way, then landed a direct hit on the body of the queen bee. As Peregrine landed his attack, the Vespiquen let out a pained screech. The queen of the swarm then struck back, driving the Talonflame back with a powerful Air Slash attack. As two more Combees moved in to finish Peregrine off, Cyrus and Gaster opened fire, bringing both down. “Jean-Marie, use Confusion!” Gaster ordered. The former smuggler’s Chingling fired off another blast of psychic energy at the Vespiquen, but the queen managed to avoid it this time. The Vespiquen then let out another screech and several Combees moved to engage, battering Taraka and Jean-Marie with more Gust attacks. “Nina, use Zen Headbutt!” Taraka commanded his Spoink. The bouncy pig Pokemon sprang up at another Combee, knocking it to the ground, stunned. “Peregrine, Flame Charge again!” Cyrus then commanded his own Pokemon. Peregrine flew at the Vespiquen flew at him. The two Pokemon struck out at each other, but each managed to avoid the other’s attack. The Captain’s Talonflame turned to make another pass, but a Gust attack from one of the swarming Combees brought him down. Another Combee, meanwhile, flew down at Nina to attack but she was, fortunately, kept safe by Taraka’s protective barrier. As another group of Combees flew in, Gaster fired a volley of shots with his rifle in a wide arc, hitting the Vespiquen and several of her drones, blasting two right out of the sky. Cyrus followed up with several shots of his pistol, landing several direct shots on the Vespiquen. The Vespiquen let out a terrible cry as the ballistic projectiles struck her body. She then descended for an attack run. Taraka and his two crewmates dove out of the way and the queen bee flew right past, instead striking Nina with her stinger. Luckily for the Spoink, Taraka’s barrier protected her again. Taraka and Gaster both ordered to their Pokemon to attack, and just like that, another two Combees dropped to the forest floor. The swarm was starting to thing out now. Gaster fired off another volley of shots, and yet another Combee fell. Meanwhile, the captain recalled his fainted Talonflame and sent out his Braviary. “Aguilo, use Aerial Ace!” he commanded the majestic bird of prey before firing off more shots at the Vespiquen. As his trainer further whittled down the queen of the swarm, Aguilo slashed through one of her drones, instantly taking it down. By this point, there weren’t that many Combees left. One dove down at Gaster, but Cyrus shot it out of the air before it could land its attack. “Aguilo, finish off the last of those Combees while we focus on the Vespiquen,” the captain then instructed his Braviary. 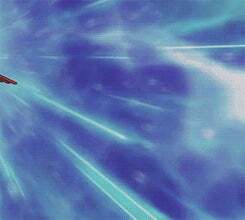 “Nina, use Rest!” Taraka commanded his Spoink as Aguilo took off after the remaining Combees. With the swarm otherwise occupied, now was the perfect opportunity for Nina to take a little nap and regain some energy. The Vespiquen, meanwhile, seemed angered that Cryus’s Braviary was devastating her drones. She flew after Aguilo and attempted to sting him, but he was too fast for her. Seeing an opportunity, Taraka pulled out a Great Ball and threw it at the Vespiquen while her back was turned. The ball sucked the queen bee in, then fell to the ground. It shook once … twice … then busted open! “Captain, I really want this bee,” Taraka said, turning to Cyrus. “Alright, we’ll help you catch it,” the Maverick’s captain told the monk. He then fired off a few shots, landing a glancing blow on the Vespiquen. “Now, to put it to sleep,” Gaster said. “Jean-Marie use Yawn!” His Chingling flew in and soon put the Vespiquen into a hypnotic trance. The queen bee attempted to land one last hit, but she was lulled to sleep just as her arm struck Jean-Marie. “Good work, Jean-Marie,” Gaster said before recalling the Chingling and switching out to his Cinccino. “Looks like this honey’s about to get stuck in a Pokeball,” Cyrus chuckled as he sent out his Victreebel to provide more support. “Not just yet, Captain,” Taraka said. He then cautiously approached the Vespiquen and sent a beam of psionic energy its way. While he was in a good position to attempt a capture now, the monk wanted to ensure the Pokemon would be dazed if it woke up. Taraka’s decision proved to be the smart play. Moments after the Vespiquen was put to sleep, it snapped back to alertness, but thanks to the monk’s foresight, the dazed bug Pokemon drifted into a tree branch and was knocked back to the ground. “Not so fast,” Cyrus said. “Nepenthe, put it back to sleep with Sleep Powder!” The captain’s Victreebel spat out a cloud of dust that soon had the Vespiquen drifting back to sleep. “Thanks,” Taraka said before pulling out a Great Ball. The monk then tossed it at the sleeping Vespiquen. The ball made contact and pulled the Pokemon inside, then fell to the forest floor. It shook once … twice … On the third shake, the ball started to open, but then Gaster’s Chingling slammed it back shut with its psychic power and it fell still. “We got your back,” Gaster said, as he walked up and bumped fists with Taraka. “I appreciate it,” Taraka said as he collected his prize. Notes: Alternate Title: The Pokemon Hunting Adventures of Gaster and Taraka, Part 4, guest starring Cyrus. 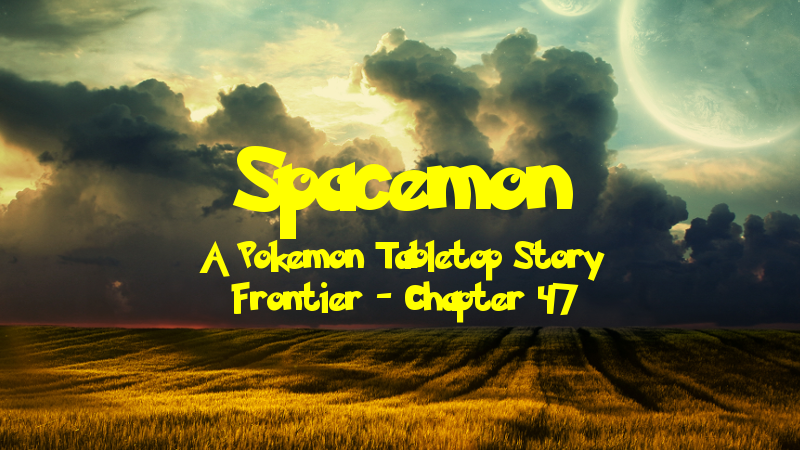 This fun little covered the second half of session 37 where the party decided to go looking for Pokemon. They rolled very well to find Pokemon, so I threw a fun Vespiquen encounter with a Combee swarm at them. It was extra epic too because I had just made an epic fight music playlist and wanted to try it out. There were a couple fun moments, such as Taraka failing his capture roll and Gaster having his Chingling use its Probability Control ability to let him reroll it, giving a result of -3 instead. As for the writing, I added a lot more Combees than appeared in game to make things more interesting as I wasn’t limited by balancing reasons. Overall, I like how this chapter turned out.